Mogli Jungle Resort named after the famous character of Kipling's Jungle Book offers to the guests a unique wildlife experience. Mogli Jungle Resort, Bandhavgarh is the idyllic retreat if you are looking for an absolute wildlife retreat. Nestled amidst 16 acres of sprawling greenery, Mogli Jungle Resort, Bandhavgarh is the ideal destination for wildlife buffs and nature lovers. Enjoy the greenery of Bandhavgarh, from the cozy comforts your cottage in Mogli Wildlife Resort. Bandhavgarh Tiger Reserve in Madhya Pradesh is one of the famous wildlife sanctuaries and tiger reserves of India which is the ideal destination for wildlife buffs. Nestled amidst the green Vindhyan Range, Bandhavgarh Tiger Reserve, Madhya Pradesh is the home to a rich variety of flora and fauna. Spend a few days in its spacious well furnished and well equipped rooms in Mogli Jungle Resort and enjoy the perfect vacation. The resort has well appointed rooms which overlook to the beautifully landscaped greenery all around. The tiled cottages in Mogli Jungle Resort in Bandhavgarh are the comfort hub of the tourists. From the elegant dining hall one can get a glimpse of the majestic Bandhavgarh Fort at a distance. 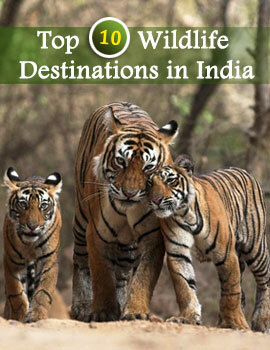 Location: It is located 2 kms from the Bandhavgarh National Park. The hotel has its in-house restaurant which offers mouthwatering cuisines to the guests which will surely pamper your taste buds. There is a well equipped conference hall meant for the business tourists.